On Wednesday 13th December 2017, the Mayor launched the consultation draft of his Economic Development Strategy (EDS) at the Federation of Small Businesses Winter Reception. 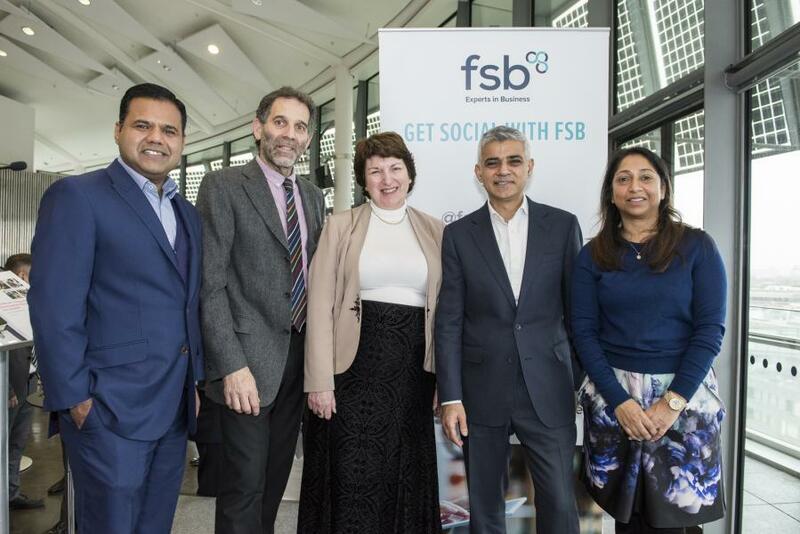 The Mayor was joined by Deputy Mayor for Business, Rajesh Agrawal, members of FSB, and LEAP board members Natalie Campbell and Simon Pitkeathley in London’s Living Room in City Hall. FSB Regional Chair, Michael Lassman opened the event, while LEAP board member, Natalie Campbell highlighted the work that the Mayor and LEAP are doing to support SMEs in London, and spoke about the London Growth Hub and the support it offers. The Mayor closed the event with a powerful speech on the importance of small businesseses in the capital, and how he plans to continue supporting growth. The LEAP was heavily involved in the drafting of the EDS, which outlines the Mayor’s plans to make London’s economy one that works for all, with new measures to support small businesses and entrepreneurship. This includes a £100m SME fund supported through London’s European Regional Development Fund and developed with the LEAP’s ESIF Committee in order to support more investment in growing businesses. The Mayor also announced the LEAP-funded Civic Innovation Challenge, challenging tech start-ups and medium sized businesses to come up with innovative solutions to problems that Londoners face, such as inequality, pollution and health challenges. To begin with, 15 companies will be selected to receive business support via the London Growth Hub, and to further develop these ideas up to three of them will be awarded £15,000. The Mayor will set out the terms of the Challenge in 2018. Many thanks to FSB and the GLA for their help in organising this exciting event. Read LEAP board member, Angus Knowles-Cutler’s blog post on the EDS.